904TIX | The Chris Thomas Big Band - Let's Dance! The Chris Thomas Big Band - Let's Dance! THE CHRIS THOMAS BIG BAND IS BACK!!! Wednesday, September 26, 7-10pm outside and under the stars in the Casa Marina courtyard! 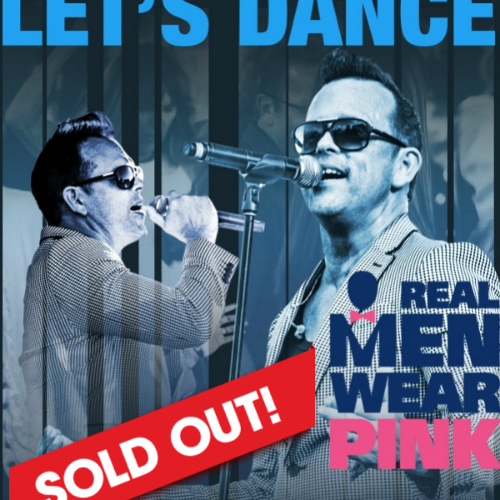 This show will benefit Real Men Wear Pink, fighting breast cancer via the American Cancer Society! CTBB will perform a 3-hour show featuring our full 19-piece big band. Dance the night away with Chris Thomas and the band or sit back and enjoy the exciting sound of big band as we perform favorites from the Rat Pack era through Motown and onto today! This show will benefit Real Men Wear Pink, fighting breast cancer via the American Cancer Society! Table service and full bar provided by Casa Marina with a light dinner menu. $20 Reserved seating ticket guarantees a seat at a table in the courtyard near the band and dance floor. $10 General Admission will be available at the door for first-come-first-serve beachside seating.